Why did God give Nebuchadnezzar so many chances? Q. I’ve been reading through Daniel and have been struck by how much God seems to communicate with and pursue Nebuchadnezzar. Any theories on why the God of Israel gave so many chances to a pagan king? I was recently part of a Bible study group that was looking at the book of Daniel. When we took up the third episode in the book, the participants were fascinated to hear how Nebuchadnezzar made a statue ninety feet high out of gold. Some of them glanced down at the notes in their Bibles and read them out loud to try to help the group understand this story better. One note suggested that this was an ostentatious display of the wealth, power and prosperity of the empire. Another observed that a huge gold statue would have been overwhelmingly bright and dazzling. But I asked the members of the study to consider whether anything we’d encountered earlier in the book of Daniel would explain why Nebuchadnezzar made this statue out of gold. They thought back to the previous episode, which we’d discussed the week before, and remembered that the king had had a dream about a statue. Its head was made of gold, but its chest and arms were silver, its torso and thighs were bronze, its legs were iron and its feet were made of iron and clay. Daniel’s interpretation of the dream was that Nebuchadnezzar’s empire, symbolized by the gold head, would be displaced by an inferior empire, which would then be replaced by another, and another, in the years to come. In light of this dream and its interpretation, our group recognized that Nebuchadnezzar created a statue that was entirely gold to offer a direct and very public rejection of the message he’d received from God. He was saying, using the very symbolism of the dream God sent him, that his own empire would actually last forever and never be displaced. And by insisting that all the officials in his kingdom bow down to this statue, he was requiring them to join him in contradicting God’s revealed vision of the future, and to give their allegiance to him and his empire instead. No wonder Daniel’s friends felt they had to disobey! And no wonder we marvel that the God of Israel continued to pursue a pagan emperor even after this. 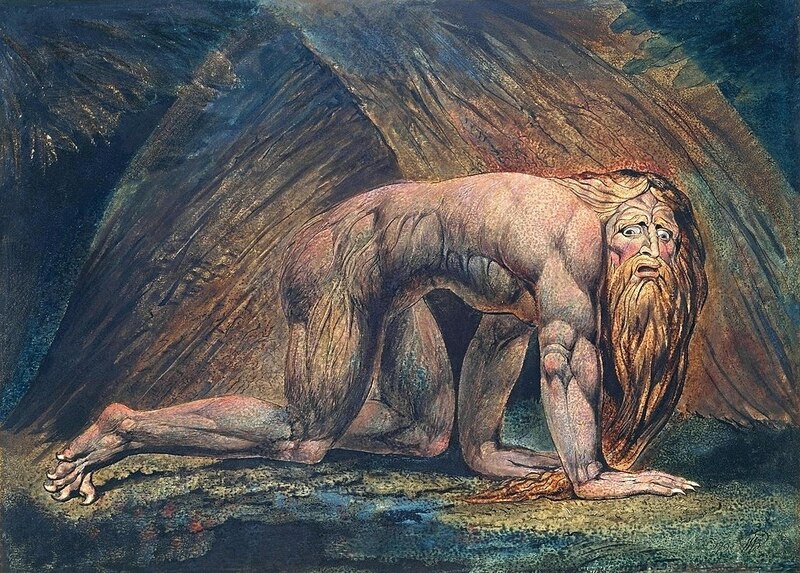 But I think we should also see Nebuchadnezzar as an individual example of a general principle. As Peter puts it in the New Testament, God is “not willing that any should perish, but that all should come to repentance.” God goes to great lengths and makes repeated overtures to every soul, striving to bring it to repentance and salvation so that it can fulfill His purposes for it on earth. And we can see how Nebuchadnezzar was offering small but positive responses as God reached out to him. Even though Daniel said his dream foretold the end of his empire, instead of punishing Daniel for disloyalty or treason, Nebuchadnezzar rewarded him, as he’d promised to do for anyone who could tell him a dream he’d had while asleep but forgotten once he woke up! In this way he tacitly agreed with Daniel that “there is a God in heaven who reveals mysteries” that are beyond human capability. So in response to God’s repeated overtures, we see Nebuchadnezzar slowly recognizing and acknowledging more and more about God’s supreme claims. It shouldn’t surprise us that God would continue to pursue anyone who was steadily coming around like this. And we should be encouraged by similar signs, even small ones, that the people we dearly want to know and love God are being steadily pursued and are beginning to respond. Previous Previous post: Why is “mene” written twice in the handwriting on the wall? Next Next post: Is the “firmament” of the Genesis creation account “space” or a solid “dome”?